The French door system is composed of an elliptical top center double door together with 2 side elliptical doors following the same contour and 2 square fixed glass panels. 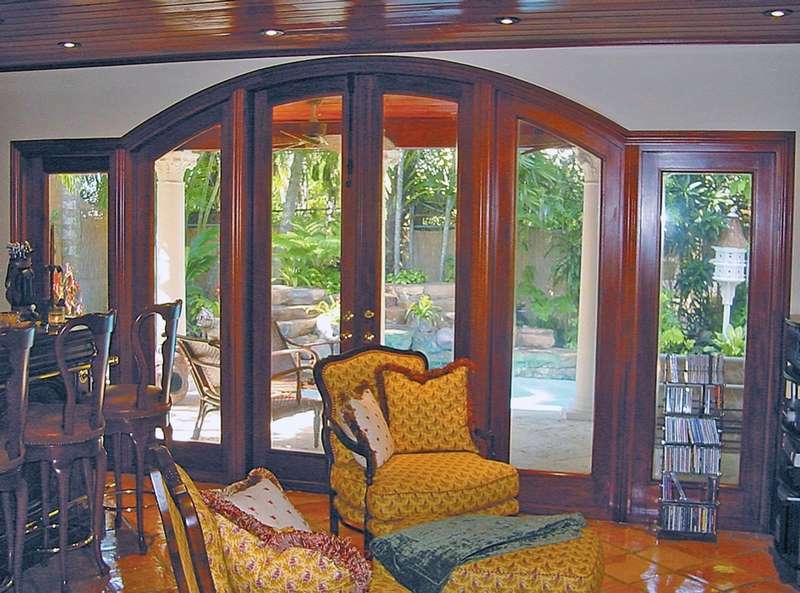 The Bay front French Patio doors are manufactured utilizing select grade, genuine Honduras Mahogany procured from responsibly controlled forests. The French doors are a statement of fine design and excellence in wood craftsmanship.